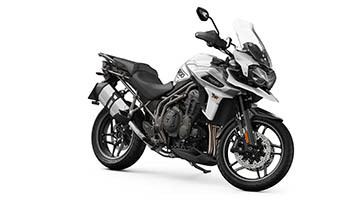 Add to that a step up in core features, including; Triumph Semi-Active Suspension, optimised cornering ABS and optimised cornering traction control, heated grips and you get a brilliantly versatile adventure bike, that's as perfect touring the world's highways as it is for your everyday ride. With four riding modes on the XRx, compared with three on the XR, the Tiger XRx can be set up to suit every condition with 'Sport', 'Rain', 'Road', and 'Off-Road' throttle maps. The Tiger 1200 XRx features an adjustable '2 position' seat mechanism allowing the rider to lower seat height by 20mm from 855mm to 835mm to suit their style and provide a more comfortable riding experience. 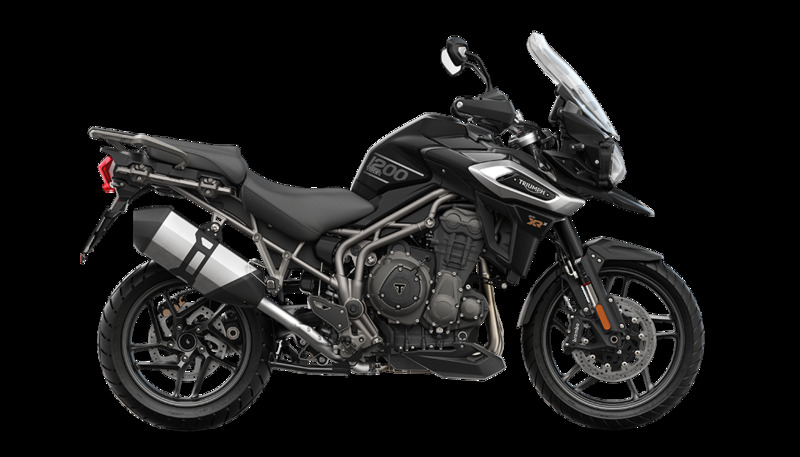 There is an incredible level of standard equipment including integrated braking system, inertial measurement unit, torque assist clutch and electronically adjustable screen, all enabling the Tiger 1200's supreme capability.